Nicki Minaj took a break from prepping for her highly-anticipated fourth studio album by offering to help fans pay off college tuition, student loans, and other educational expenses, ABC News reports. 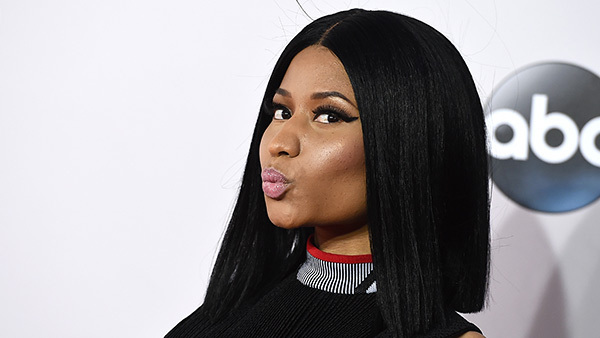 It started with a contest to join the rapper at the Billboard Music Awards in Las Vegas on May 21, in which fans had to tweet Minaj using the hashtag, #NickiBBMAs. When one fan suggested that the "Starships" rapper instead pay their college tuition, Minaj responded to the challenge. "Show me straight A's that I can verify w/ur school and I'll pay it," she tweeted around midnight Saturday. "Who wants to join THAT contest?!?! Dead serious. Shld I set it up?" Minaj initially had one stipulation -- her fans had to have a 4.0 grade-point average. "If u give me a 4.0 then I'll keep my end of the bargain," she wrote to one person. But when the rapper learned a follower needed only $3,000 to cover the cost of three classes, she agreed. She wrote to that person, "That's it? I'll send it tmrw. dm me ur bank info babe. Next!" She told a person who posted a screenshot of a bill for $1,069, "Yes I'll pay it. Send ur info." Minaj ended her charity spree with a simple tweet: "Ok u guys. It's been fun. Let me make those payments tmrw then see if I have any money left." She added that she'll "do some more in a month or 2." ABC News reached out to a rep for Minaj, but has yet to hear back.